CSI Nordic performs topographical measurements on products to determine surface roughness and geometry. We perform measurements on a macroscopic level with a coordinate measuring machine and determine surface roughness to control if a component fulfills its tolerances. 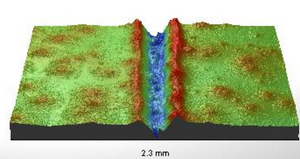 Topographic measurement is often used during failure investigations to quantify the extent of surfaces damages such as corrosion depth or removed material volume on a worn tool surface. FT-IR spectrometer, Spectrum One Perkin Elmer. Organic material such as plastics, oils, fats etc. Interference profilometry, Wyko NT9100. 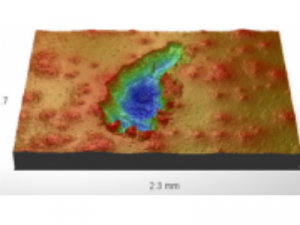 3D-topographical mapping on nanometer level. Coordinate measuring machine, Johansson Coordimatic CEJ 7000. Measures geometry of components with micrometer precision.